Meeting & Party: Sat Aug 16 @ Kalama Clubhouse! Update: Peter will be providing meat for the BBQ as usual. Please bring pupus and your favorite liquid refreshments to share, and a small cash donation to defray Peter's expenses. Thanks. Volunteers for site cleanup and preparation are encouraged to show up at 3. Baby shower starts at 4, PG meeting/party starts at 6. See you there! Pilots and friends are invited to join us for our third quarterly meeting and party of the year, to be held on Saturday, August 16, at 6 pm. 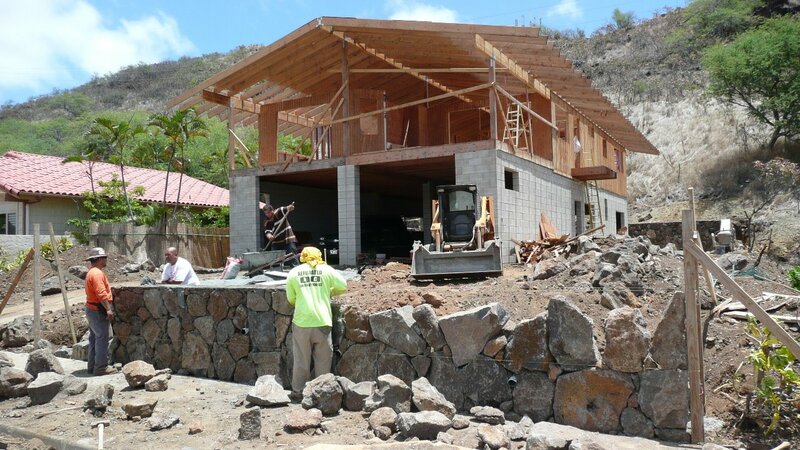 Since the HTMC clubhouse in Waimanalo is undergoing major construction, Bob has graciously offered his new home site to the club for this occasion. Thanks Bob! And thanks to everyone for all the great suggestions and offers for an emergency backup venue. 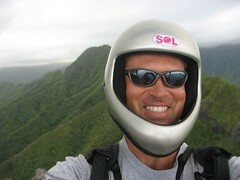 How about the Makapuu or Kahana LZ's after flying? Redcup and BBQ's permitted. I just talked to Bob - he said his Kalama clubhouse is available. He's already got the toilet installed, and he plans to put walls around it by the time we have our party, so that's all good. Maybe we can fly Makapuu, land at Sandy's, and then walk over there for some party action. in Kalama Valley. You can enter Kalama Valley either from Kalanianaole Hwy. near Sandy beach or from Hawaii Kai. Either way you come you will come to a three way stop. At the three way stop sign continue into the valley on Kealahou St. Take you next right onto Mokuhano St. The house is the last one on the Left. Lots of street parking. See map below. Looking forward to seeing you all.